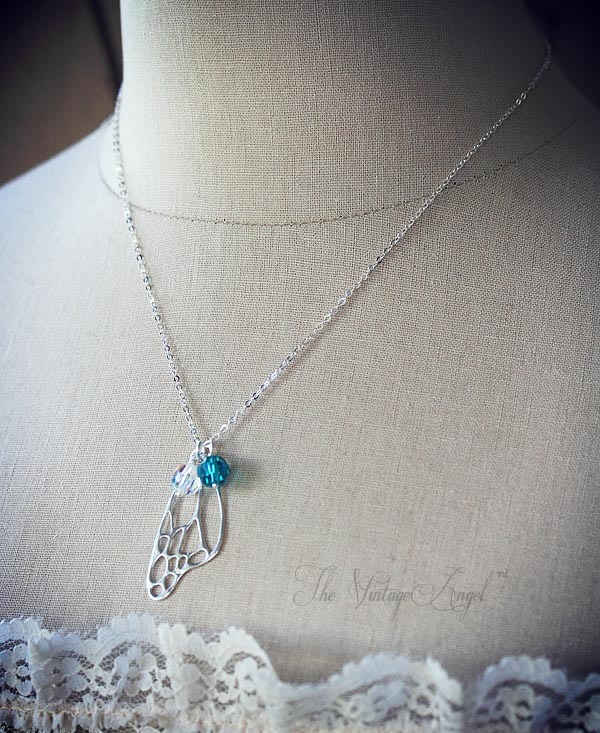 Crafted from fine solid Sterling Silver (everything on this necklace is solid .925 sterling), this whimsical fairy wing necklace makes the perfect gift for Mom. 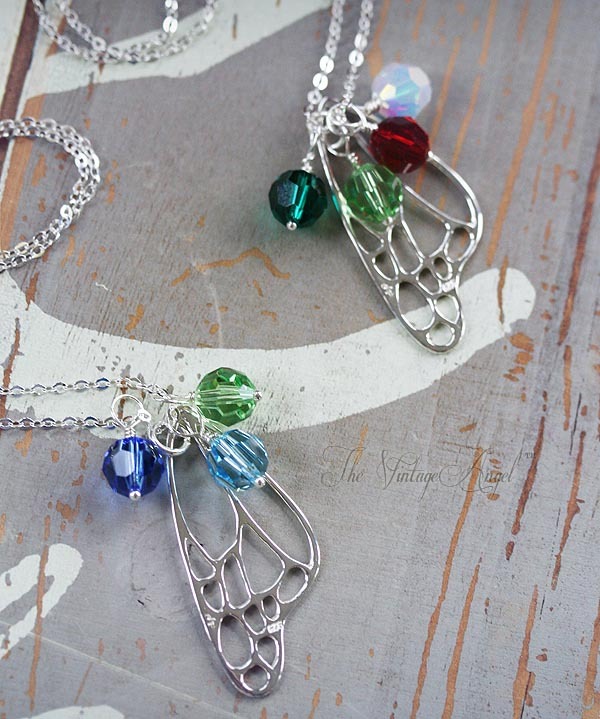 I've used a highly polished sterling silver cut-out fairy wing focal piece (a little over 1.5" tall), accenting it with two 8mm Swarovski birthstone rounds (you choose the birthstones, December and April are shown in the photos here). 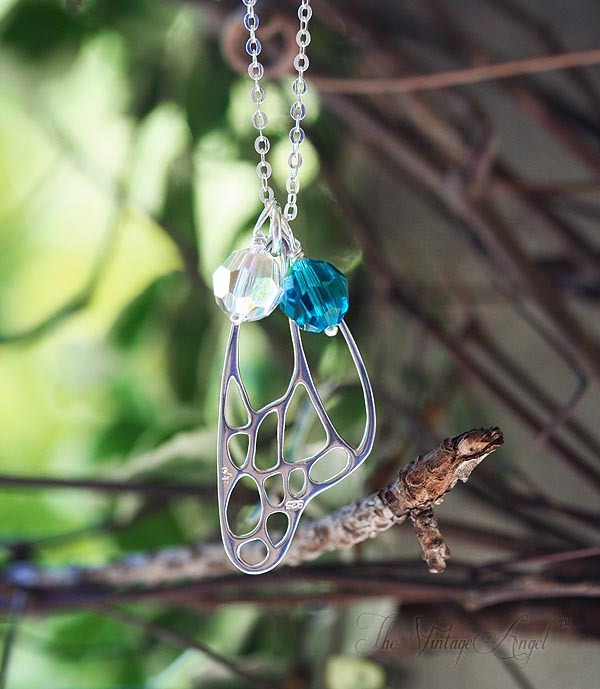 The necklace hangs from a dainty, high quality solid sterling silver chain that shimmers like gossamer at 18" long. I can add up to four birthstone beads at no extra cost. If not needed, just leave those boxes blank. Choose the birthstones by month before ordering.